As an Illinois Public Benefit Corporation, Mightybytes is required by state law to publish an annual report describing our benefit to society. Here’s what that meant to us in 2016. We continued benefits from previous years, including our ongoing commitment to sustainability both in our office and in our industry with tools like Ecograder and Tim’s new book, Designing for Sustainability. We also continued to serve the Illinois nonprofit community and provided pro bono services to our strategic partner, Climate Ride. The lack of an Illinois state budget, however, had a negative impact on many of our nonprofit clients, who rely on state money to stay solvent. This in turn had an adverse affect on our bottom line as well, meaning we were unable to make good on some impact goals. 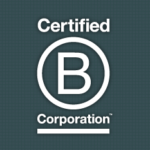 Still, despite these changes, we were able to maintain our mission and live B Corp values—aligning profit with purpose. 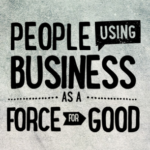 Here’s how a small company continuously strives to make a big difference, despite the odds. We hope you enjoy our story. Download by clicking the button below (3.3 MB PDF file).